Sometimes it's best to stay with the classics. 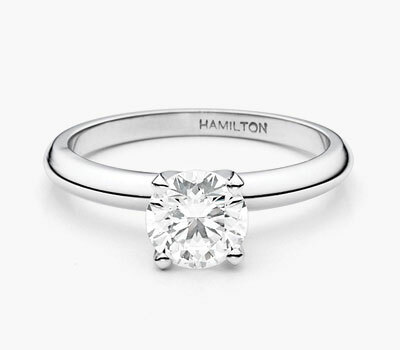 This timeless beauty is crafted in 14k white gold with a simple 4-prong design to best illuminate the fire and brilliance of your diamond. Available in various sizes and valued priced from $1,995. For a diamond as infinite your love, this is the one to wear always.